Mr Laurent Driole Resort Manager of Bungaraya Island Resort. Graduated from a Hotel & Catering College in the French Loire Valley, Mr Driole started his career largely focusing on Food & Beverage skills gained around the world in various Club Med 4 and 5 star hotels and resorts and also on cruise ships, overlooking F&B operations in several fine dining restaurants. 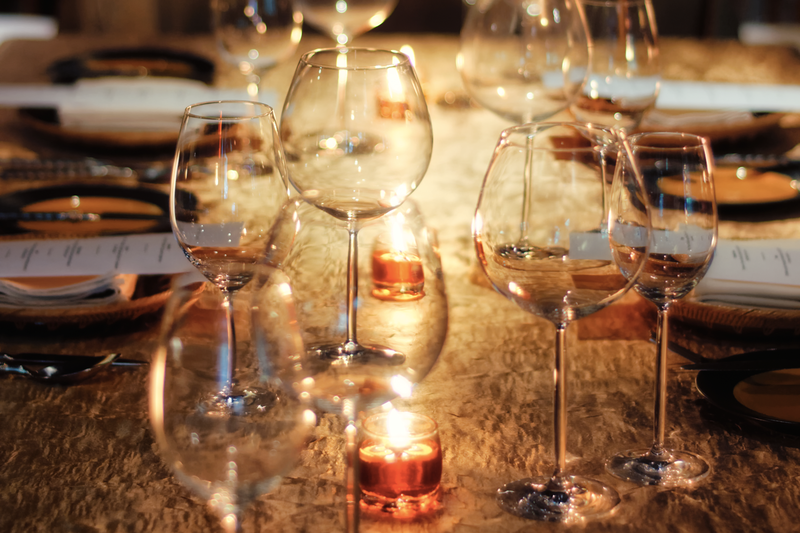 These worldwide experiences together with his French nationality made him an F&B expert. Always looking for new challenges, he decided to step back for 2 years and to resume new studies after his 13 years of professional life in order to update and broaden his academic and strategic skills. Once MBA graduated in International Hospitality Management, obtained at the ESSEC/Cornell University in 2006, he started a new and more traditional career as F&B Director in large International groups such as Starwood at the Westin Paris, Fairmont at the Swisshotel Moscow and Leading Hotels of the World at the magnificent Reverie Saigon where he stepped into Asian culture of service. All along the journey he was asked by a French film maker, Mr Marois to take over the operations of his iconic property, Les Bains in Paris, a five-star boutique hotel in the world of fashion, arts and entertainment, where he acquired the knowledge of hotel management. Lastly a French businessman involved in oil & gas prospection in Africa asked Mr Driole to leverage the quality of service of his boutique resort before monitoring a new development. He therefore accepted the GM position at Club Santana, a paradisiac boutique resort located in a luxurious equatorial bay in Sao Tome & Principe, two Guinean gulf sister islands famous for the Cocoa bean production at the beginning of the century. With his new role as Resort Manager at Echo Resorts, Mr Driole will overlook all operations of Bungaraya Island Resort where nature and healthy life match together in a gorgeous Maritime National Park, taking profit of his past experiences to strongly focus on human relationships to make of any guest stay a relaxing and life memorable experience. The resorts were founded by the Tan family. The family sought to preserve the idyllic village life they experienced growing up in unspoiled Borneo as children. After decades of mass development they found the world had become homogenised and that the unspoiled world they had grown in and loved was slowly disappearing. The sea and the land had become built up. They sought to preserve, renew and nurture this small little slice of heaven, to share with their guests, wherever the world they come from. So everyone could enjoy the romance, celebration of sky and ocean and rainforest. 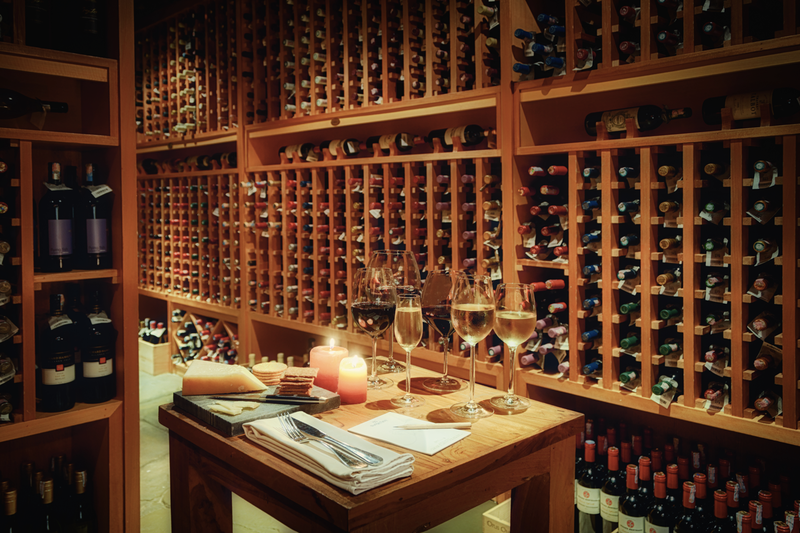 From our hearts we provide our guests unforgettable, natural hospitality, in this exotic and nurturing setting, providing unique memorable experiences. We lead by example creating better relationships, involving our community, and preserving the environment for all those we share it with. By taking personal responsibility, we optimize financial performance and employee potential assuring continued develpment for our People, while recognizing the trust placed in us by our Owners. 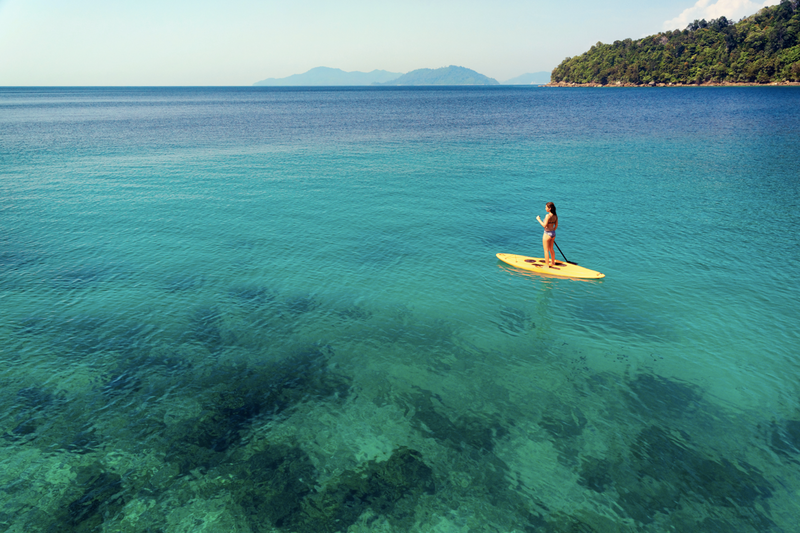 Gaya Island (Pulau Gaya) is a sizeable Malaysian island of 1,465 ha, just 10 minutes from Kota Kinabalu, Sabah and forms part of the Tunku Abdul Rahman National Park. Pulau Gaya derived its name from the Bajau word “Gayo” which means big and occupies an area of 15 km² (3,700 acres) with an elevation of up to 300 metres. Several ridges rise more than 600 feet (180 m), peaking at 1,000 feet (300 m), along the backbone of Pulau Gaya. 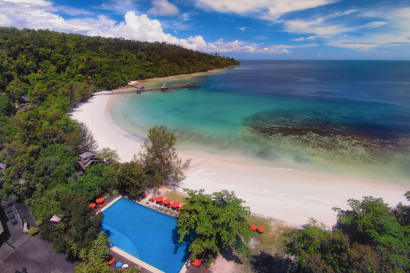 Pulau Gaya is the largest island in the Tunku Abdul Rahman National Park, closest to downtown Kota Kinabalu (KK) and is covered with dense virgin, tropical forest. It has been a forest reserve since 1923. The island has 20 km of hiking trails and two 5 star resorts named Gayana Marine Resort, home to the Marine Ecology Research Centre, and Bungaraya Island Resort on the north-east part of the island. Historically, Pulau Gaya was also the site of the English colonialist’s British North Borneo Company’s harbour, razed by the folk hero Mat Salleh on 9 July 1897. A walk to discover the trails of Gaya Island uncovers an exciting variety of tropical hardwood trees, herbs, animal habitats and forest flowers. Home to hornbills, monkeys, lizards and curious insects, the Gaya Island forest is set to fascinate nature lovers all year around. 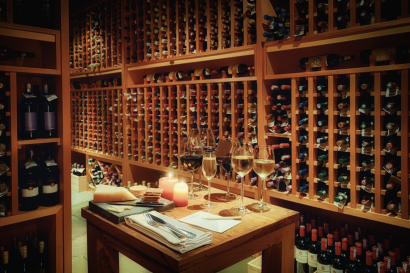 • Wine Cellar, The Longhouse Wine Cellar is 2 Glass Wine Spectator Award Winning Cellar. 1) The orang-utan is Asia’s only great ape. Fruit makes up the bulk of an orang-utan’s diet, however other items include leaves, flowers, pith, fungi, honey, termites, small mammals and birds’ eggs. Adult orang-utans are largely solitary. The bond between a mother orang-utan and her young is very strong Orang-utans face a multitude of threats ranging from loss of habitat as forest is converted for agriculture to hunting and fires. The largest Bornean orang-utan population is now found in the south-western part of Borneo. 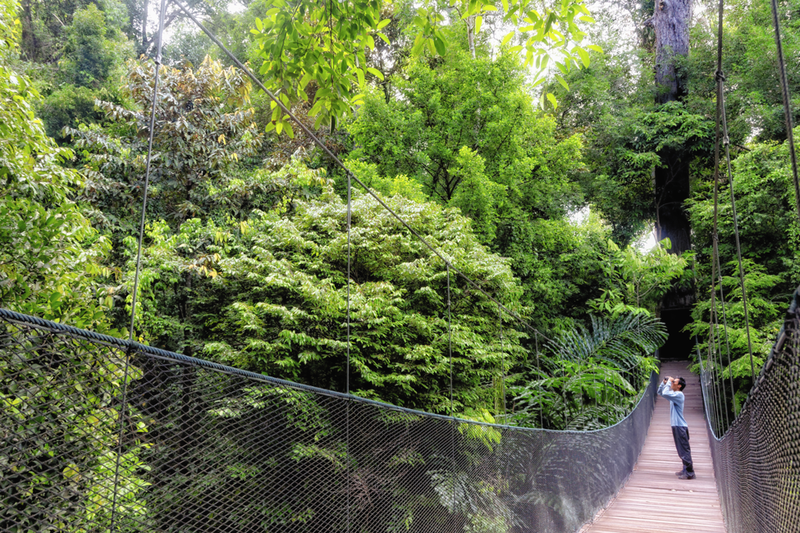 2) The Borneo rainforest has an estimated age of 130 million years, making it one of the oldest rainforest in the world. Older than the Amazon jungle. 3) “Clam” is an informal term used to refer to any molluscans within Class Bivalvia. Remains first appeared in Cambrian age rocks 510 million years ago. They presently live in both freshwater and marine habitats, and range in adult size from nearly microscopic to the giant clam, which can weigh 200 kg (440 lb). Some have life cycles of only one year, while at least one has been discovered that may be over 500 years old. They lack heads but most can react to changes in light and some, such as the scallops, have rudimentary eyes. Though a common food item, many are too small to be useful as food, and not all species are considered palatable. All clams have two calcareous shells or valves joined near a hinge structure with a flexible ligament, and all are filter feeders. The Marine Ecology Research Centre, located on a sister resort on the same island, Gayana Eco Resort is just a short 10 minutes boat ride away. The centre is dedicated to the regeneration and preservation of the coral reed and a number of key aquatic endangered species. Climate change, industrial fishing and pollution have contributed to the significant and rapid decline of the health of the seas. A planet of nearly three quarters of ocean, MERC is dedicated to the vitality of the oceans, seas, habitats and its many inh abitants. 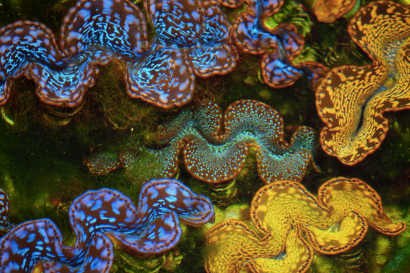 One of the most notable is the Giant Clam, As a filter feeder the Giant Clam one of the Ocean’s most important and vital contributors in the natural filtration of water, This is the core of a healthy ocean, and a sustainable ecosystem. The centre welcomes everyone young and old. • 17 Superior Villa-Scattered throughout the hillside above with a mix of secluded Jungle and Ocean Views these large, 1-bedroom villas offer idyllic hideaways and the ultimate in true rustic luxury. • 9 Deluxe Villas-A separate lounge from the main bedroom provides additional living space with LCD television and DVD player with surround sound. 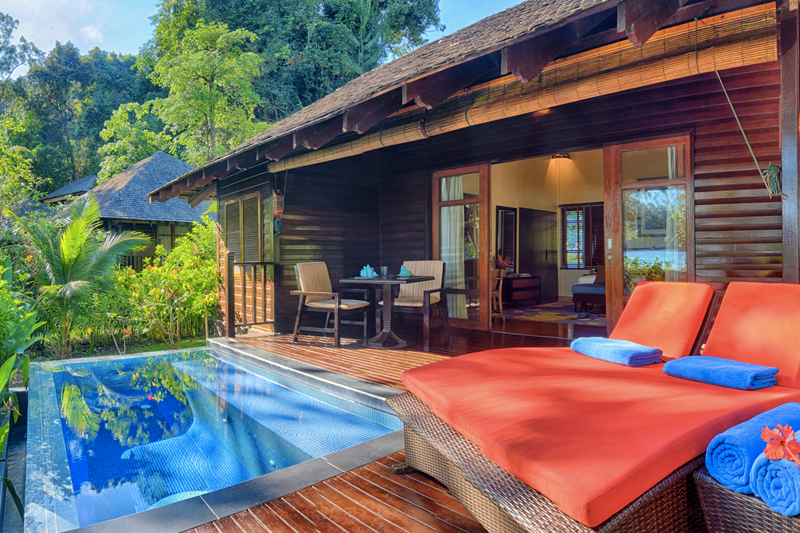 • 10 Plunge Pool Villas- A beach lovers crib with private plunge pool and open deck balcony. Complete with deck chairs for lounging and a bathtub for freshening up in a spacious bathroom. 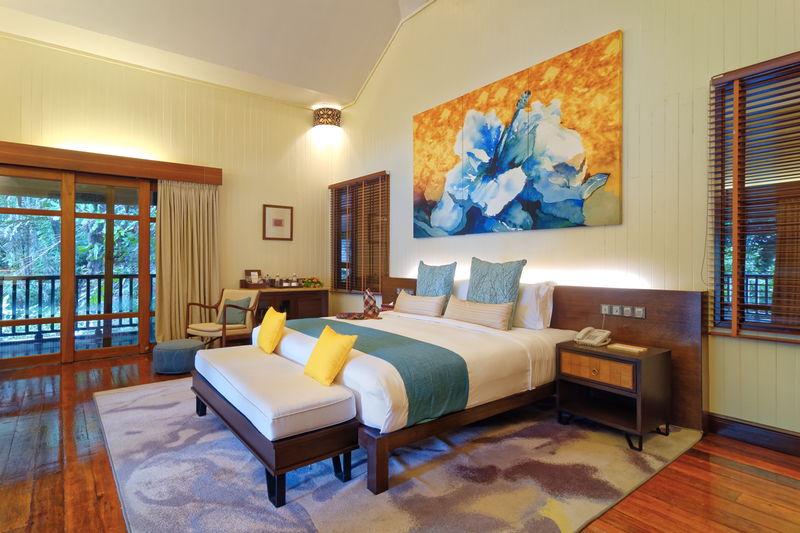 • 8 Two Bedroom Deluxe Suite- Two separate bedrooms within one villa and a lush outdoor balcony living space makes for a perfect family. • Royal Villa- in a sublime location backed by the tropical jungle on one side and the South China Sea on the other is a private 2-bedroom tropical hardwood villa with classy dining areas, comfortable living rooms and a designer kitchen serviced by a designated butler, chef and housekeeper. An enlarged outdoor deck complete with 2 plunge pools, a BBQ pit and private beach. 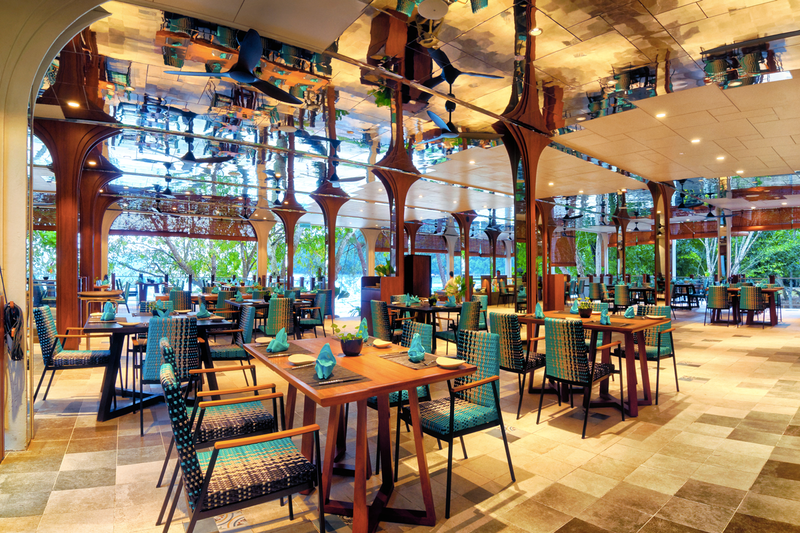 Enjoy scrumptious all day dining in our newly designed beachside restaurant. With a stunning view of the South China Sea. The cuisine is manly Western with an Asian twist, featuring fresh organic vegetables from our own Tuaran Organic Farm. 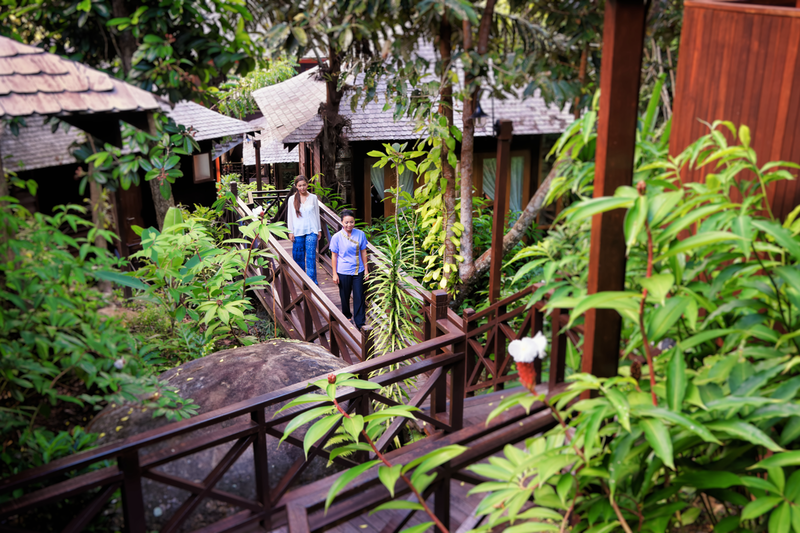 Immerse yourself in natural Borneo treatments in private Spa suites or pavilions. 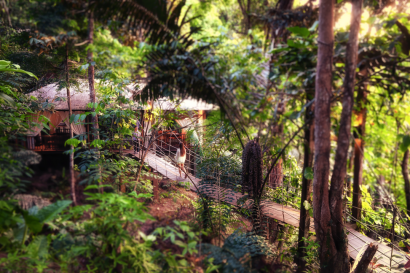 The Jungle Spa is entwined in the boulders and jungles of our island. Rejuvenate in the sauna and ice room or relax with stunning views of nature’s bounty. We have the perfect setting to host memorable events for you. Contact us for more information. • PADI Dive Center (Located at our sister resort – Gayana Marine Resort). • Marine Ecology Research Centre (Located at our sister resort – Gayana Marine Resort).